Stunning truths from cath Lab ! Is “No-perfusion” better than “Re-perfusion” in late STEMI ? 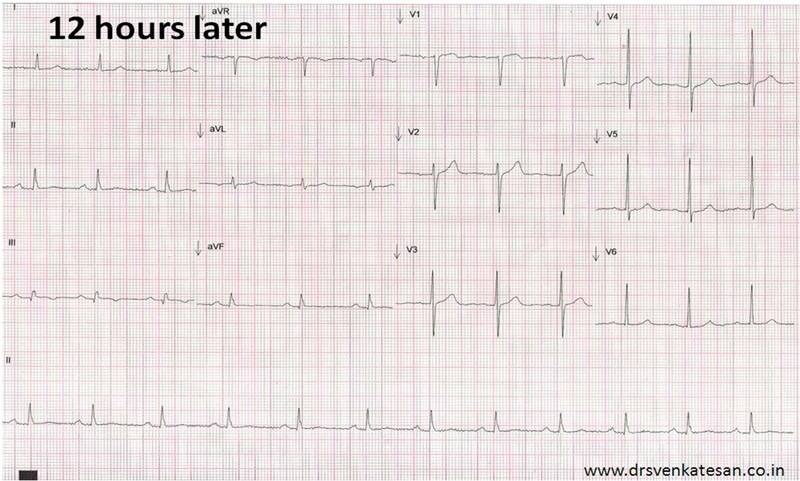 A patient with extensive anterior STEMI presented 18 hours after onset of chest pain . He was other wise stable and free from angina but had persistent ST elevation (5mm in V 1 to V 5 ). He had a total occlusion of LAD with TIMI zero flow . He had a tight PDA lesion as well . A bed side echo revealed LV EF of 50% . The septum was hypo-kinetic but did not appear severely dysfunctional . So , it was decided to open up the LAD. 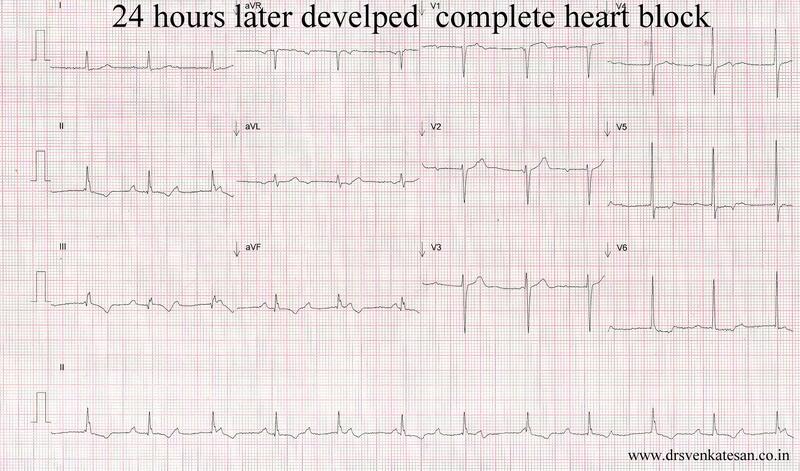 The moment LAD was opened he developed severe acute LVF / flash pulmonary edema . Even after a 30 minutes of heart (Fire ) fighting he could not be resuscitated . What is the mechanism of death here ? Expert STEMI interventionist from core labs may answer this ! An acute ischemic MR with myocardial disruption was suggested . Why it was triggered after opening the IRA ? Re-perfusion Injury ? How relevant it is in cath lab ? Is re-perfusion injury electrical , mechanical or both ? In this particular patient even though there was a total LAD occlusion , the segments supplied by the LAD was partially functional and it was contributing to LV pump function. The moment a trickle of flow was established , some thing happened and the whatever little mechanical function his LV had was also interrupted . The LV came to standstill and the patient died . If re-perfusion Injury is simply an electrical event like VF , it can be resuscitated . If it is mechanical outcome is bad ! This is not a new concept . It is part of the once famous concept called myocardial stunning . There are lots of reasons for stunning to be a clinically relevant phenomenon .Unfortunately if any cardiologist talks about it in 2012 , he is at risk of labeled as old fashioned ! We know collaterals can be recruited within 12 hours in many STEMI patients . In some it can even salvage significant mass of myocardium . The acute collaterals to LAD may be interrupted during primary PCI . Once you poke the lesion the coronary vascular bed which had dilated (as a response to total occlusion ) may react with inappropriate vasoconstriction . This raises the local hydrostatic pressure (Myocardial edema) and further impede the incoming micro collateral flow . This a very critical time for the myocardium where antegrade and retrograde flow are kept in a fine balance . Interference with remote lesion Hemodynamics . Even a transient hypo- tension can have devastating effect in the hemo -dynamics of non IRA territory especially if it harbors a critical lesion ! Coming to the title question , Is no – flow better than slow- flow in late presenters of STEMI ? Common sense dictates whenever an artery is obstructed just get rid of it. When it comes to the heart it must be done in an urgent basis That is the essence of primary angioplasty . . . agreed . But in this patient I believe , the common sense was proved wrong ! Truths are always hidden. The science of myocardial re-perfusion is a perfect example . We need to learn a lot still ! This I call as Para cardiology : Heart facts without evidence ! One may argue this is an exceptional case in STEMI intervention. Don’t hype exceptions and undermine the importance of a great concept ! Exceptions and rules are directly related to our experience we have accrued. Exceptions are the great knowledge substrates and help crack medical mysteries ! Primary PCI : Making “Non-Sense” out of sense ! Late presentation > 12 hours (This is the most important contraindication . 12 h is the time taken for death of myocytes . Myocardium will not bother by which modality it is going to be rescued ! It simply won’t give any grace time and never feel privileged to be rescued by PCI !) The supposedly time independent beneficial effects of PCI was never proved convincingly ! Uncomplicated , fully evolved, spontaneously re-perfused ( successful ) STEMI (At-least 10 % of STEMI population ) . 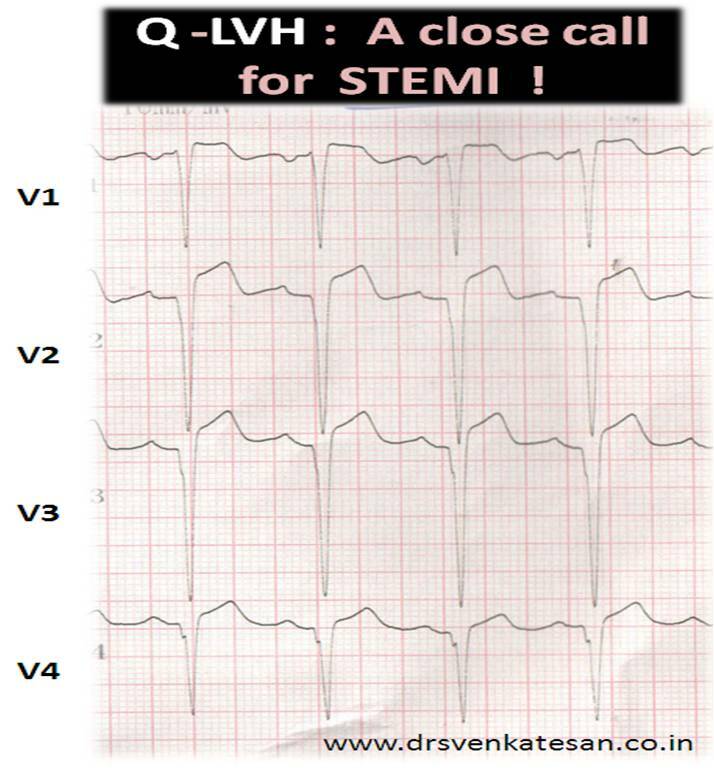 This is common in RCA STEMI . Lack of sufficient hardware . The list of relative contradictions that are widely reported in literature for thromolysis may apply in PCI as well .The risk of bleeding is many fold higher when multiple anti-platelet agent /Heparin are used .The usage of 2b -3a is also rampant in many centers . A recent hemorrhagic stroke is an absolute contraindication for PCI as well. (If only you do a PCI without anti-platelet agents).With number of complex anti-thrombotic drugs knocking the d0ors of cath lab , the problem is set to grow further. Never underestimate the potential peri -procedural bleeding risk during PCI .It can easily exceed that of a thrombolytic agent in susceptible individuals ! 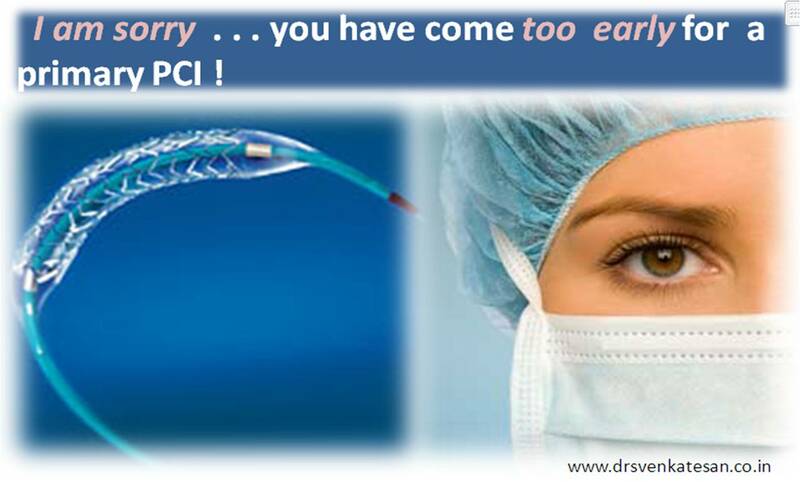 Primary PCI is a great innovation and is a gift of modern science to human race . But , when selecting the patients , many of us continue to interpret this issue wrongly. We seem to think , in a given patient , if thrombolysis is contraindicated , he or she will automatically become eligible for primary PCI. It is a dangerous assumption and is rarely true . There are umpteen number of situations were both are contraindicated . I argue the intervention community to publish specific guidelines with absolute and relative contraindication for primary PCI as well . If a patient is not eligible for both thrombolysis as well as PCI what to do ? 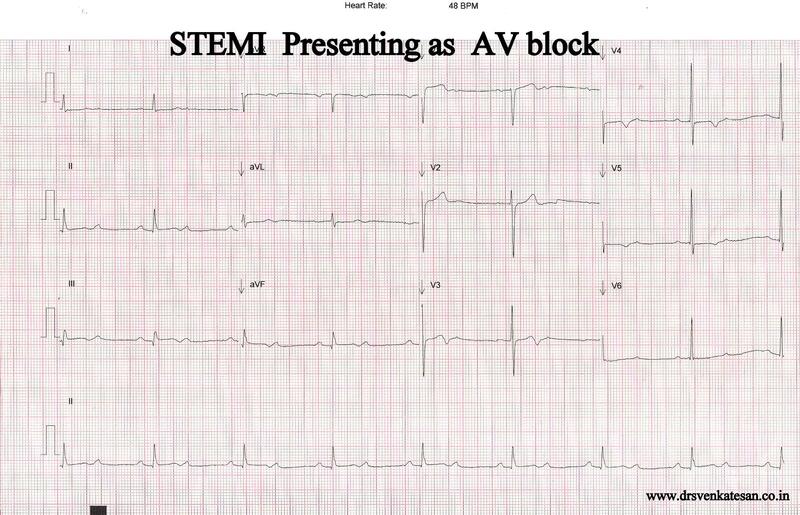 Is it not a crime to watch a patient with STEMI simply losing his myocytes ? It may seem so , when we look at superficially but be reminded even simple heparin therapy has saved many lives in such a situations .